China has launched an exhibition showcasing the country’s progress over the last five years under the leadership of the Communist Party of China (CPC) with Xi Jinping at the core. The exhibition opened to the public at the Beijing Exhibition Center on Tuesday in readiness for the 19th National Congress of the Communist Party of China scheduled for October. Chinese President Xi Jinping, who is also general secretary of the CPC Central Committee and chairman of the Central Military Commission, visited the exhibition on Monday. Other members of the Standing Committee of the Political Bureau of the CPC Central Committee – Li Keqiang, Zhang Dejiang, Yu Zhengsheng, Liu Yunshan, Wang Qishan and Zhang Gaoli – also visited. Xi said all Chinese should make persistent efforts to realize the country’s two centenary goals and fulfill the Chinese Dream of national rejuvenation, the Xinhua News Agency reported. The dream concept was first proposed by Xi five years ago at a 2012 exhibition with the theme “The Road Toward Renewal” at which he noted that achieving the great rejuvenation of the Chinese nation is the greatest dream for the nation in modern times. Commending the “historic progress and changes” that have taken place in China over the past five years, Xi said efforts must be made to inspire public confidence in the path, theory, system and culture of socialism with Chinese characteristics. The exhibition’s 10 themed zones include China’s economic construction, political construction, national defense and military, major-country diplomacy with Chinese characteristics and Party building. The exhibition also has one experience zone. Models of China’s Fuxing bullet trains, the crewed deep-sea research submersible Jiaolong, quantum satellite Micius and the country’s super computer Sunway Taihulight proved popular. 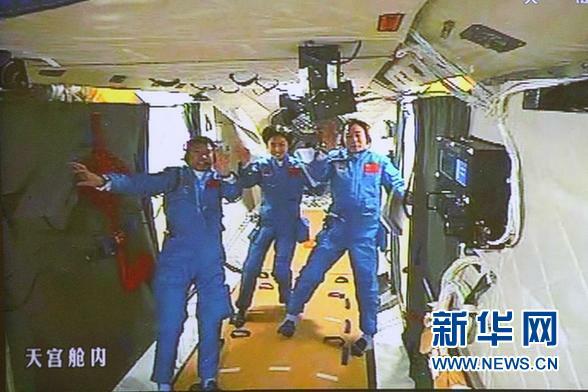 Visitors could also don virtual reality goggles to view the assembly, transfer and launch of China’s Long March rockets. People outside of Beijing can access the exhibition’s videos and three-dimensional models via its website: dlfj5.cctv.com. The show took months to put together, an exhibition organizer told the Global Times. Ministries and government organizations helped out by providing photos and other items for display at the exhibition. 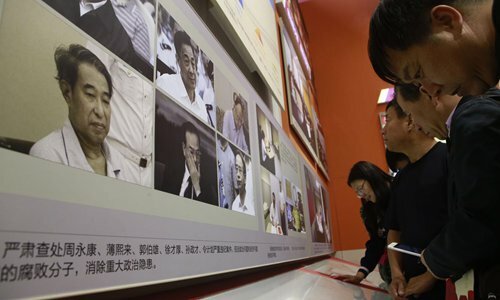 The theme of the 10th exhibition zone is “strengthening Communist Party discipline.” The confessions of corrupt officials are prominently displayed as well as pictures of fallen senior leaders Zhou Yongkang, Bo Xilai, Guo Boxiong, Xu Caihou, Sun Zhengcai and Ling Jihua. Former Chongqing Communist Party chief Sun was expelled from the Party and removed from his public post, Xinhua reported Friday. Sun betrayed Party principles, lost his political stance and abused his power to seek profits for relatives and others, Xinhua said. The decision was approved by the Political Bureau of the CPC Central Committee on Friday and his case will be transferred to relevant judicial organs. “Since the 18th Party congress, I have felt the central government’s determination to fight corruption and experienced the change of atmosphere. I am very proud of what the government has achieved,” a visitor surnamed Chen told the Global Times on Friday. 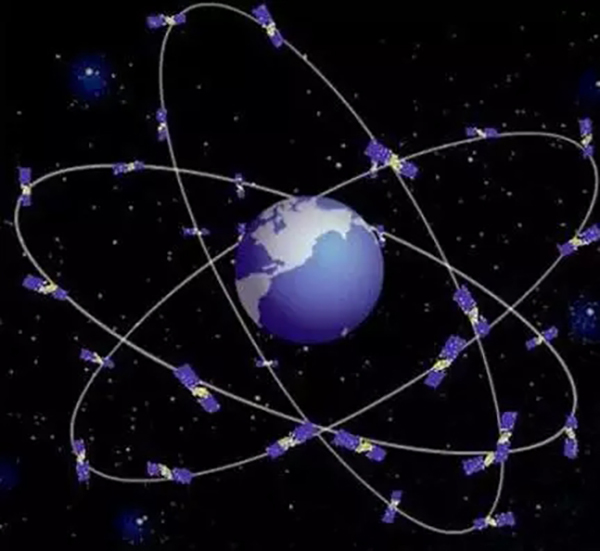 An expert says that the satellite networking system in the Asia-Pacific region based on China’s self-developed Beidou Navigation Satellite System performs better than GPS in terms of positioning, real-time navigation, and accurate timing, according to the WeChat account of People’s Daily on Sept. 26. 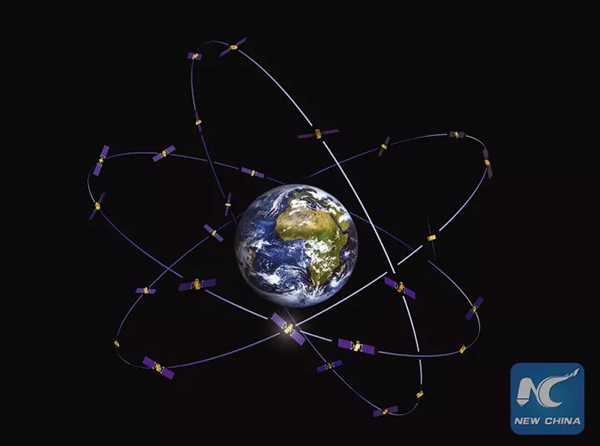 Construction of the Beidou-3 global positioning system has already started and four networking satellites will be launched later this year to greatly increase the positioning accuracy of the existing system. Ran Chengqi, deputy chief designer of the system said Beidou, also known as Compass, will provide all-weather and all-time services, including highly accurate and reliable positioning, navigation, and timing services, as well as short-message service. The system has become a major supplier of global satellite navigation services. Other systems include the Global Positioning System (GPS) of the US, the Global Navigation Satellite System (GNSS) built by Russia, and the Galileo system of the European Union. The world’s first man-made earth satellite was launched by the Soviet Union on Oct. 4, 1957, and GPS developed by the U.S. was put into operation in 1995, which now has 30 satellites in medium Earth orbit for military and civilian use. The civilian use is now open to the world. Like other countries, China used to rely on GPS for research and development of technology, said Ran. Until the early 1980s, Chinese expert Chen Fangyun put forward the positioning scheme based on two satellites that were launched into high Earth orbit. Although it could not rival the GPS systems in terms of positioning accuracy, it, at least, met the design target. The expert disclosed that the Beidou-2 system plans to form a global network of 35 Beidou navigation satellites by 2020, five more than GPS. The five geostationary satellites in high Earth orbit are mainly for short-message service. Ran added that, although the launching of the 35 satellites has not been completed, a satellite network for the Asia-Pacific region has already been established. 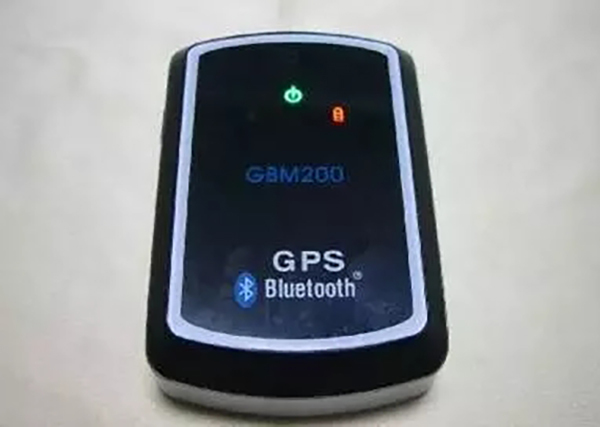 Of course, Canada and Mexico prefer GPS, but the Beidou system will be more advantageous for countries in the Asia-Pacific region, according to the expert. Experts from Asia-Pacific countries, including Thailand, Malaysia, Indonesia, Brunei, Cambodia, and Laos were sent to China in July 2014 to study the Beidou-2 system and discuss cooperation. 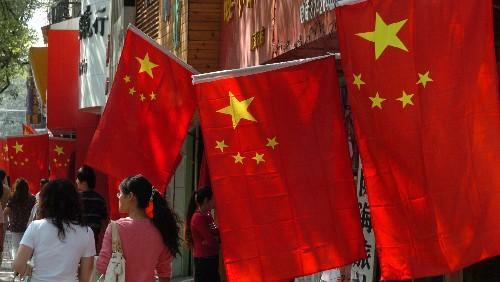 The Chinese government is actively promoting application of the system in the region. Despite some fuss over its limited capacity in positioning accuracy, the Beidou-1 system is said to have played an important role in the rescue efforts following the devastating Wenchuan earthquake in May 2008, as it provided the only channel connecting the quake-hit area with the outside area, Ran stated. After the Beidou-2 networking system is established in the region, fishermen can install the terminal system on their ships and will be able to seek help in a timely fashion in case of an emergency. The Chinese government has even offered a 100-million-yuan ($15.07 million) subsidy for 10,000 fishermen in Liaoning, Shandong, Zhejiang, and Hainan to encourage use of the system. The expert also disclosed that the charge for sending a short message via the Beidou system is only three tenths of a yuan, the cheapest ever in the history. In addition, Ran noted that China is planning to install Beidou equipment on light poles and signal towers to form an advanced ground-based system, which, when combined with the space-based satellites, can achieve more accurate real-time positioning than GPS. Many high-tech enterprises in China have also started to focus on positioning and navigation research, as they can enjoy tax exemption and financial support offered by the Chinese government. Ran predicts that the Beidou system industry is set to embrace a bright future. The maximum yield of sea rice on saline-alkaline soil developed by China’s “father of hybrid” Yuan Longping’s team has reached 620.95 kilograms per mu (0.07 hectare), way beyond experts’ expectations, People’s Daily reported on Sept. 29. The test was carried out in the field at the Sea-Rice Research and Development Center in Qingdao, east China’s Shandong Province, on Sept. 28. The existing sea rice yield is only about 100 kilograms per mu, according to Yuan, which is not cost-effective for farmers. However, if the yield could be improved to 300 kilograms per mu, they would be much active in planting the rice. Yuan said he is very satisfied that the sea rice yield has well exceeded 300 kilograms. Rice is the first choice for improving saline-alkaline soil, of which there is 1.5 billion mu in China. About 300 million mu of that is exploitable. If one third of such land is used to plant the sea rice, the total yield could reach at least 30 billion kilograms, which could feed 80 million people in China, experts estimated. Yuan also noted his and the institution’s desire to help other countries develop hybrid rice to contribute to world food security and peace. 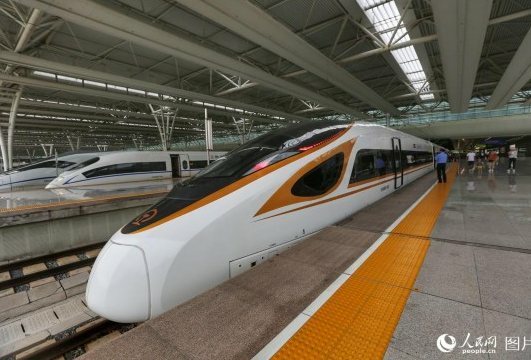 China’s latest high-speed train the Fuxing consumes only 3.8 KWh per 100 passenger-km when running at a speed of 350 km/h, according to Chinese newspaper Science and Technology Daily. Fuxing bullet trains officially started operating at 350 km/h since Sept. 21, which has made China to reclaim its crown for the world’s fastest train service. The height of the Fuxing model CR400AF increased to 4.05 meters from 3.7 meters, expanding its section by 7.3%. The enlarged locomotive calls for improved aerodynamic performance. In order to achieve this, the design team conducted lots of simulated calculations, wind tunnel tests, and moving model tests, said Ding Sansan, deputy chief-engineer of CSR Qingdao Sifang Co., Ltd., the producer of the locomotive. After multiple technical evaluations, the final scheme was chosen out of 46 preliminary conceptual plans. Compared with older versions of China’s high-speed trains, the Fuxing has 12% lower air resistance and 17% of the energy consumption per 100 km. It saves more than 5,000 KWh of electricity for a round trip between Beijing and Shanghai, Ding noted. In addition, a number of sensing systems have been added to the train, empowering it with a smarter brain. The 2,500 sensors can sample more than 1,500 kinds of information, including vibration, bearing temperature, traction system, and carriage environment, said Tao Guidong, deputy director of technical center of CSR Qingdao Sifang Co., Ltd. The smart high-precision sensing systems are able to sample one million pieces of data in just one second, Tao added. The Fuxing bullet train has also applied passive safety technology for the first time. The technology, which uses energy absorption devices, guarantees the non-deformation of passenger in the event of a crash, Ding noted. About half of China’s population plan to travel during the upcoming National Day holiday and Mid-Autumn Festival, which last from Oct. 1 to Oct. 8, according to a report by China’s largest online travel agency Ctrip, thepaper.cn reported on Thursday. The report says that almost 710 million domestic trips will be made during the holiday, up 10 percent this year, and six million Chinese will travel abroad. The tourism industry is expected to rake in 590 billion RMB ($88.4 billion) during the period. The report also shows that people in Beijing, Shanghai, Guangzhou, and Shenzhen are more inclined to travel compared with those in other cities. The per capita expenditure for domestic trips is about 3,200 yuan and 9,800 yuan for outbound tourism. Popular tourist destinations in China include Beijing, Yunnan, Hainan, Zhejiang, Guangxi, Fujian, Hunan, Sichuan, Shanghai, and Guangdong. As for outbound tourism, the report shows that 70 percent of Chinese tourists prefer Asia, among which 45 percent prefer Southeast Asia, followed by Hong Kong, Taiwan, Japan, and South Korea. 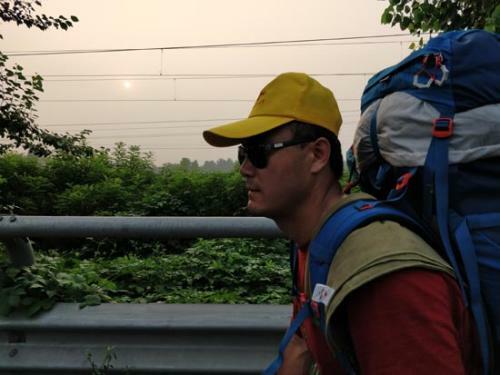 A visually-challenged man from Beijing recently hiked 40 days to Xi’an, northwestern China’s Shaanxi province, as a first step to journey the Belt and Road route by foot, China Youth Daily reported. On the 1,100-kilometer journey, the man Cao Shengkang, who lost his eyesight at the age of eight in a car accident, crossed 40 cities and counties in three provinces. His mobile app tracked a total of more than 1.35 million steps. Inspired by the Belt and Road Forum for International Cooperation held in Beijing this May, Cao decided to cover the route by hiking as a tribute to the ancient Silk Road. A friend of his, Wu Fan, volunteered to be his companion during the trip, and he helps protect him on the road. The trip was also a way to forge his mentality, Wu added. Several days after their departure, Cao’s feet blistered. In order to relieve the pain, he walked faster to reduce the amount of contact between his feet and the ground. But he still had to cover 25 kilometers a day. Sunburn, storms, injuries, and dust were their companions on the trip. Sometimes they even had to go hungry because restaurants were not always available. During the trip, Cao and Wu also collected garbage along the road, in order to promote environmental protection. Cao believes this good deed will make the hiking trip even more meaningful. The two of them collected more than 1,000 plastic bottles along the 40-day journey. On Aug. 27, they finally arrived at their destination: Xi’an. “I have proved that it’s possible for blind people to do such a thing,” Cao trembled. “Though I couldn’t see the scenery along the road, I myself was a unique part of it,” he said. In the last 5 years, Cao has walked through 34 countries in six continents, and reached the peak of Kilimanjaro, Africa’s highest mountain, in 2016. Now, Cao has started the second part of his dream to walk along the Belt and Road route. He flew 4,700 kilometers from Xi’an to Kashgar, Xinjiang Uygur Autonomous Region, on Sept. 20, planning to hike back to Xi’an in 5 months. China is now carrying out system debugging and fitting its first domestically-produced aircraft carrier in Dalian, northeastern China’s Liaoning province. According to information disclosed, the aircraft carrier is 315 meters long and 75 meters wide, and its deck is as large as 3 football fields. Statistics show that the new aircraft carrier has a similar displacement to its predecessor the Liaoning, with thousands of cabins inside of its body. The rich deposit of equipment manufacturing is the main reason why Dalian was chosen as its place of production. The special steel used for the manufacturing of the aircraft carrier. After three years of research and development, the country finally succeeded in making a special kind of steel that is needed for the manufacturing of the aircraft carrier. It is so strong that an aircraft landing on it will not scratch it. In addition to the qualified materials, China has trained 2,400 professional welders who work 24 hour shifts in the narrow cabins to produce the ship. The bridge is the brain of aircraft carrier. That is where the command tower, flight control office, operations room, and radars are located. 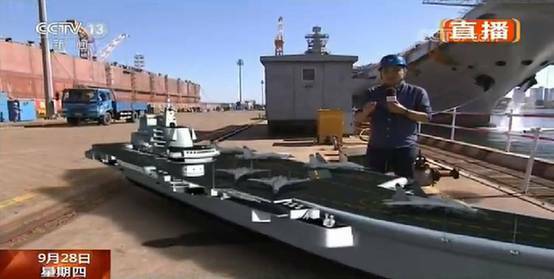 Compared with the bridge of the country’s first aircraft carrier the Liaoning, the new one is smaller. The smaller size not only provides a clearer layout, but also provides more space for aircraft aboard the ship. China has become Asia’s most popular destination for overseas students, said Li Hai, deputy director of the Department of International Cooperation and Exchange of China’s Ministry of Education, at a press conference on Sept. 28. According to Li, China has stepped onto a new stage of two-way student exchanges. 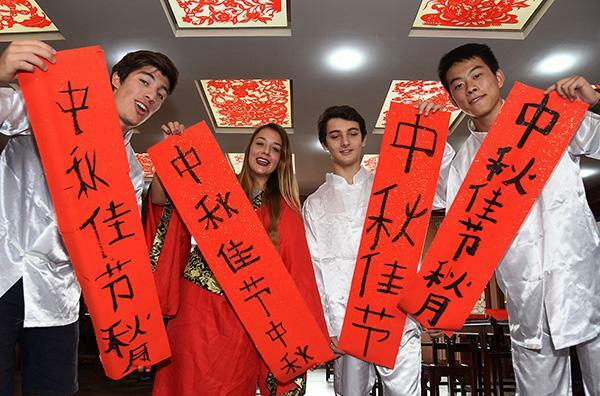 A total of 545,000 Chinese students studied overseas in 2016, while 443,000 international students came to China, up 36.2% and 35.1%, respectively. In addition, the country saw 433,000 overseas returnees in the last year, and they have become a major force that promotes China’s education, economy, and culture. By the end of 2016, China established cooperative partnerships with 188 countries and regions, and signed agreements of mutual recognition of degrees with 47 countries and regions. The country has also built high-level cultural exchange mechanisms with Russia, the U.S., the U.K., the European Union, France, Indonesia, South Africa, and Germany. Cultural communication is now one of the three major diplomatic pillars, together with political mutual trust and economic cooperation. Li introduced that China established 512 Confucius Institutes in 140 countries and regions by the first half of 2017, offering courses to 2.1 million students. Now, more than 170 countries offer Chinese courses, 67 of which have incorporated Chinese into their national education systems. The number of non-native Chinese learners has reached 100 million worldwide. China will take various measures to ensure the health of astronauts aboard its space station, which will be completed by 2022, said Li Yinghui, deputy chief designer of China Manned Space Engineering Project. According to a recent report by The Telegraph, scientists from Russia and Canada found alarming changes to the immune system of 18 Russian cosmonauts who lived on the International Space Station for six months, suggesting that they would struggle to shake off even a minor virus like the common cold. “The results showed that in weightlessness, the immune system acts like it does when the body is infected because the human body doesn’t know what to do and tries to turn on all possible defense systems,” said Professor Evgeny Nikolaev, of Moscow Institute of Physics and Technology and the Skolkovo Institute of Science and Technology. Microgravity and radiation in space, as well as the long-term isolation and high spiritual pressure, all affect astronauts’ immune systems, Li explained. In addition, microorganisms are more fertile in weightlessness, secreting more toxins. This increases the chance of diseases for astronauts in space. According to Li, understanding of the human immune system in space is still based on ground immunology. With the rapid development of manned space engineering, China has gained more comprehensive knowledge of how space impacts astronauts’ immunity, Li said, adding that breakthroughs have been made in multiple areas. Radiography is a seldom applied technology in short and medium-short term flights. However, it will be widely applied to the space station to observe astronauts’ cardiovascular, digestive, and skeletal systems, Li said. As a result, real-time adjustment can be made to ensure their health. In addition, the core technology employed for immunological studies, flow cytometry, will be added to the space station. More measures will be taken on China’s space station, Li added. “We will offer wearable devices, machines, and instruments to ensure the astronauts’ health through all their practices,” she said. 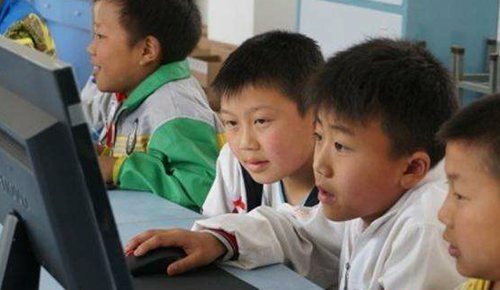 More than 23% of Chinese children from 3 to 6 years old spend more than half an hour on the Internet every day, according to a report issued at a forum on children’s cyber security. The report said that these preschoolers are similar to adults in terms of their online habits, enjoying online entertainment, shopping, and blogging. Almost a quarter of the 7 year olds, or 24.2%, have studied game walkthroughs on the Internet, the report revealed. Sixty-one percent of them have downloaded games, videos, and music, and 8.5% have made online purchases. In addition, 14.4% of this group posted pictures, videos, or texts online, and 4.7% of them have followers. Children are also accessing social media at a younger age. Some of them begin to use instant messengers such as QQ and WeChat from 3 years old, and the penetration rate of these apps exceeds 50% among 12 year olds. Easy and broad access to the Internet is the major reason for the large penetration rate among the children. According to education experts, Children learn by imitation. As a result, children will copy their parents’ online behaviors, including TV-viewing, chatting, shopping, and video game habits. This is inevitable during human development, and there’s no need to fight the trend. But parents should guide their children with scientific methods and reduce the negative impact of the Internet on their children.